If there is one tool that should be of superb quality in your kitchen, it’s a decent knife. A knife can be the difference between an amazing culinary experience, or simply horrid. Well, if you were looking to treat yourself or someone else to a fantastic gift this Christmas, look no further. Introducing the Chatwin Crucial Knife Set! Three elegantly designed chef’s knives – minimalist in style, sophisticated in function, and brilliantly constructed. The Chatwin Crucial belongs in everyone’s kitchen! The G21 Chef’s Knife is used for the majority of your culinary work. It also features an 8-inch blade. This set features three completely unique knives. Each of them has been constructed from superior steel and solid rosewood. Combined with their amazing balance, these knives look as spectacular as they function. The Crucial set offers three distinct knives that are used for different purposes – A paring knife, a boning knife and a Chef’s knife. Also, don’t miss out on the video below. 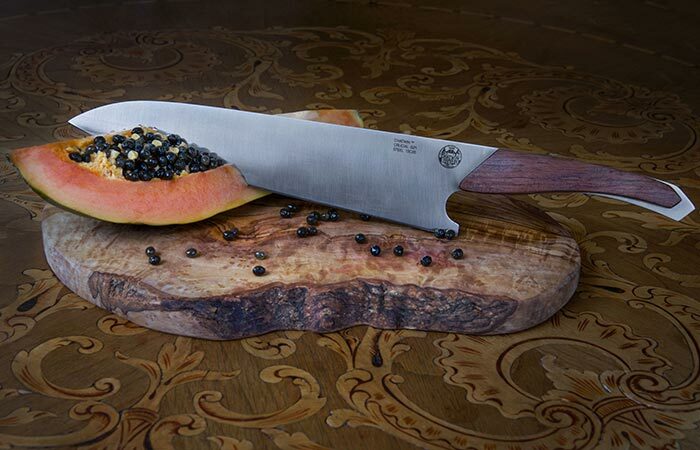 The B13 Boning Knife is perfectly suited for deboning or filleting. It also has a Swedish Sandvik blade that measures 5-inches. 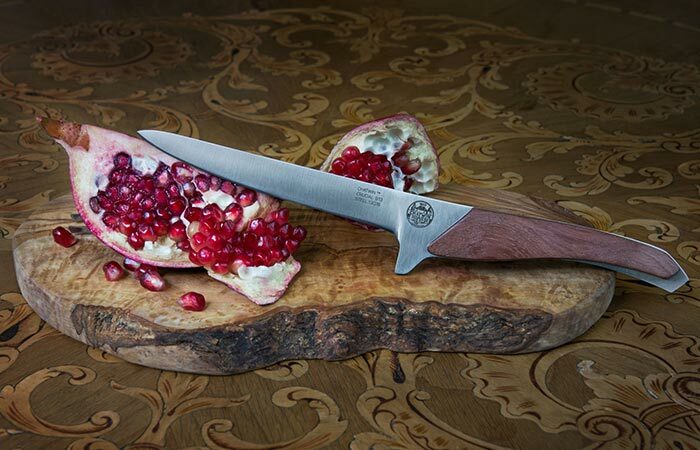 The Paring Knife is perfect for small tasks such as peeling and finer intricate work. The Boning Knife is suited optimally for filleting or deboning. The Chef’s Knife is a larger knife that is best suited for the vast majority of your culinary tasks. The P10 Paring Knife is well suited for intricate work. In addition, it has a blade length of 4-inches. All three of these knives feature blades that have been constructed from extremely high quality Swedish Sandvik 13C26 Steel. In other words, it will never let you down and it will keep a superb edge. 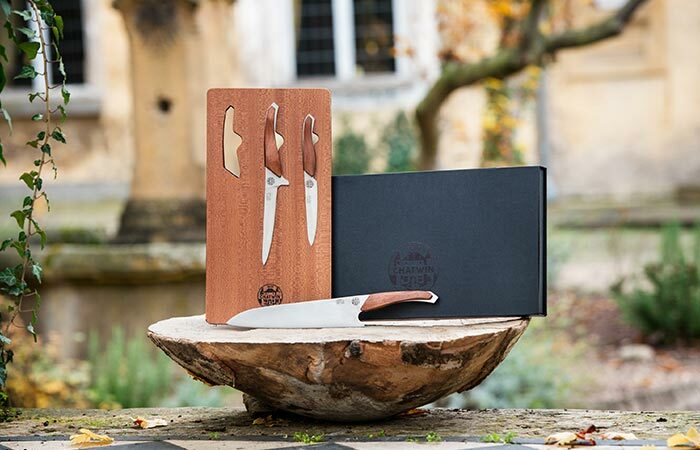 The Chatwin Crucial Knife Set also comes with a wooden knife holder that shows off the aesthetics of your knives while keeping them safe. 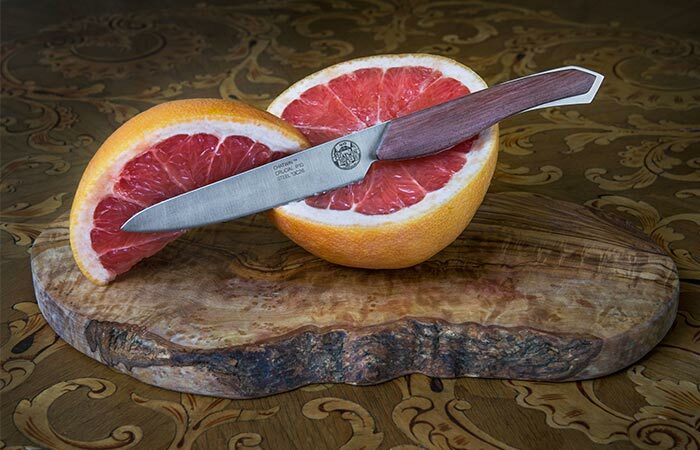 In addition to this, the Chatwin Crucial knife set comes with a wooden knife holder. This holder has specifically placed rare earth magnets within the wood to keep your knives in place while showcasing their aesthetics. If you wish to take them somewhere, simply close the case and your knives are safe. Amazingly crafted, aesthetically pleasing, and superbly functional, the Chatwin Crucial belongs in your kitchen!